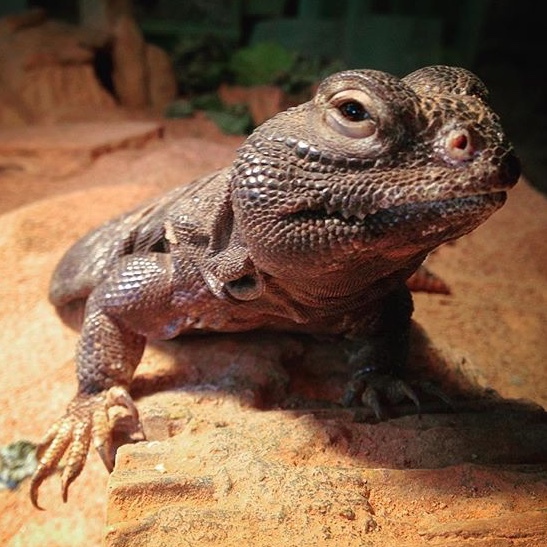 Last Saturday, January 20, my beloved Uromastyx lizard passed away. 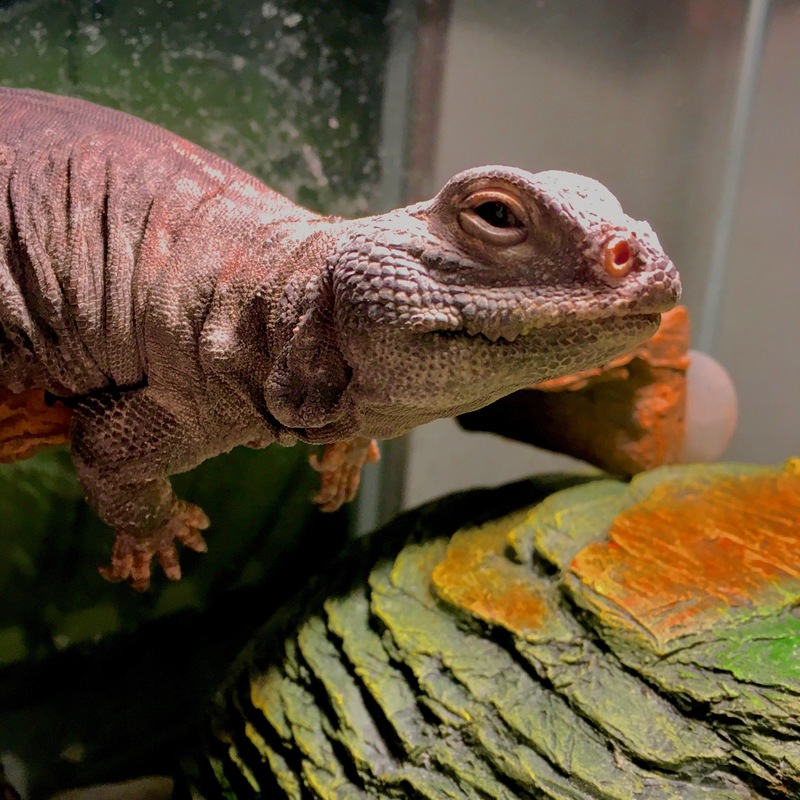 Liz Lemon was one of my favorite subjects to photograph, and the original mascot of this blog. I named her after one of my favorite Tina Fey characters. A photo of Liz in her younger days. Over time, she outgrew that cave! I was not her original owner, but I place her age at around 10 years (maybe more). 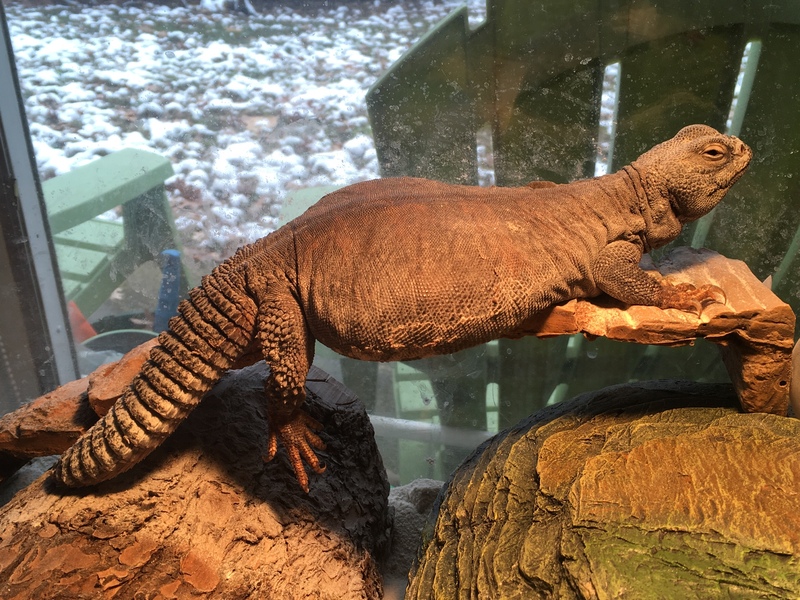 I inherited Liz in 2010 from a fellow student at Salisbury University. 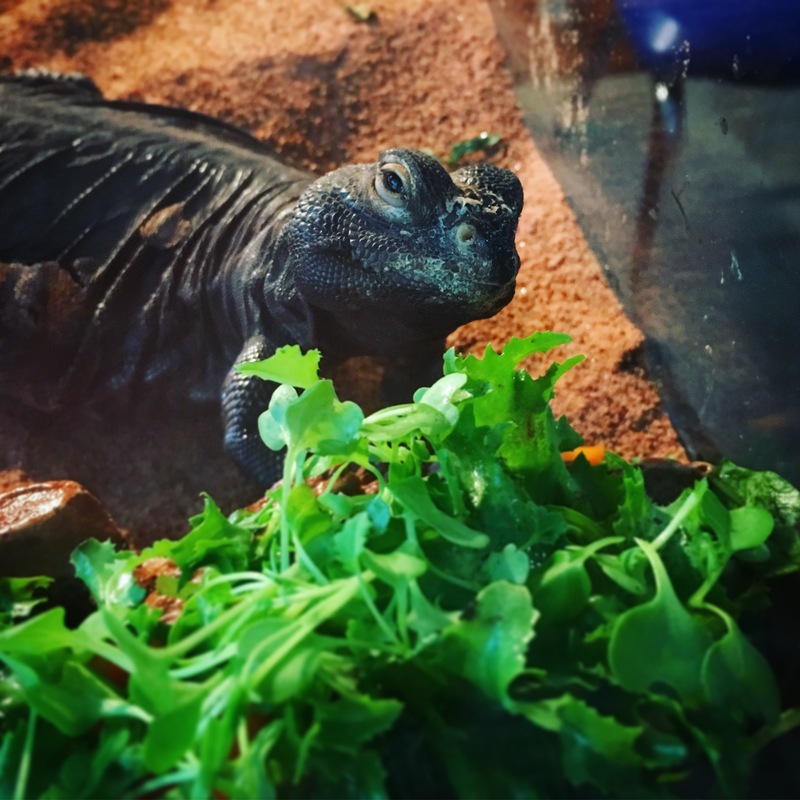 Since that time, every time I got a new job or a raise I would build up Liz’s habitat. She was part of the reason that I became a gardener; Liz was a vegetarian and I enjoyed growing food for her. 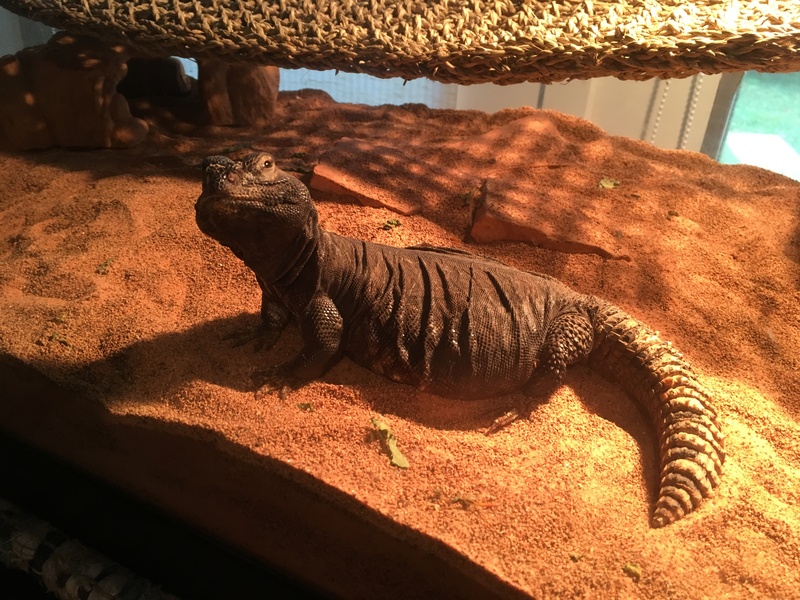 I called her my “big girl” because of that Uromastyx pot belly! Fortunately, my sister Kelly was visiting for the weekend and provided Liz with a presidential motorcade in her black Lincoln sedan back to my parents’ house. There Liz received a proper burial in a beautiful red cookie tin that came from one of my favorite students at work. To me, this was preferable to burying Liz in the yard of my current apartment. 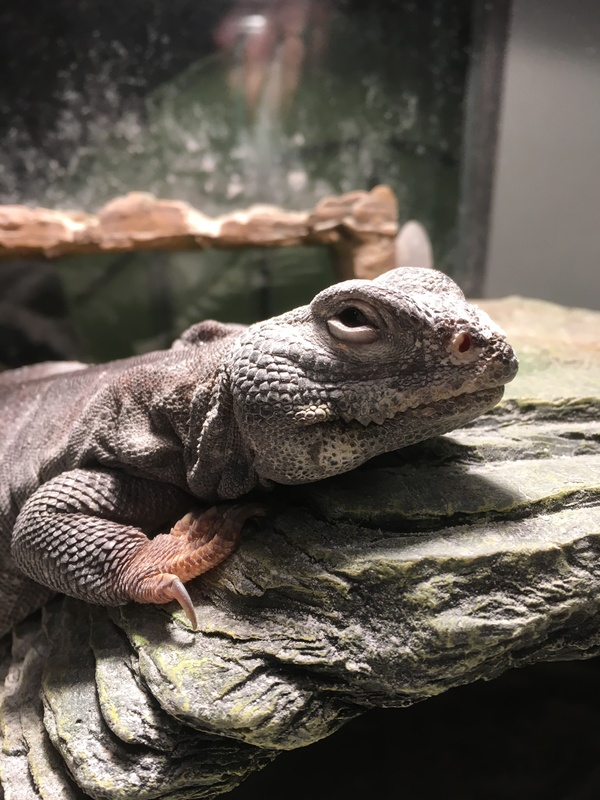 I feared that her sensitive reptilian soul would be stuck hearing my upstairs landlord abuse people over the phone for the rest of eternity. There isn’t much this week that can diminish my sadness over losing Liz. She was my buddy and a delightfully silent roommate for almost eight years. I had hoped that we would have several more years together and maybe I would buy a house for myself that she could live in rent-free. Liz saw nearly all of my 20s and witnessed my various victories and setbacks. 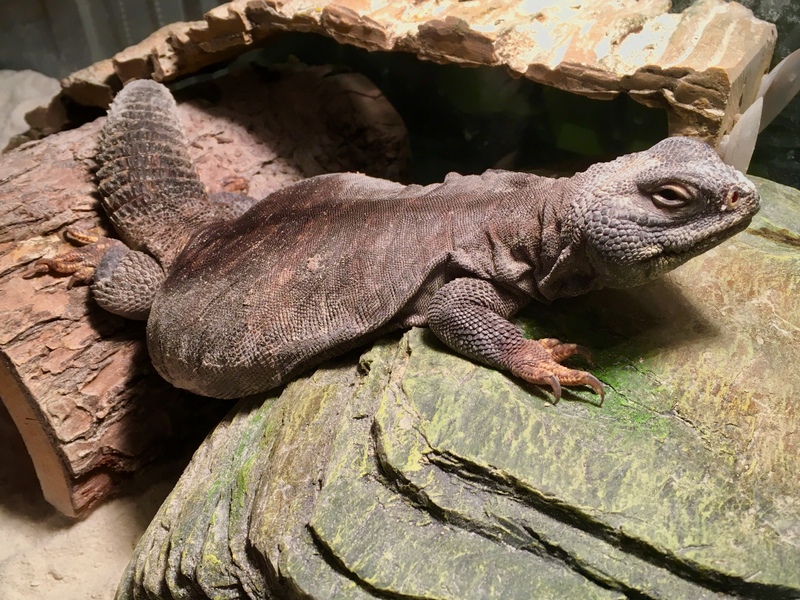 Her empty tank is a tear-inducing sight. 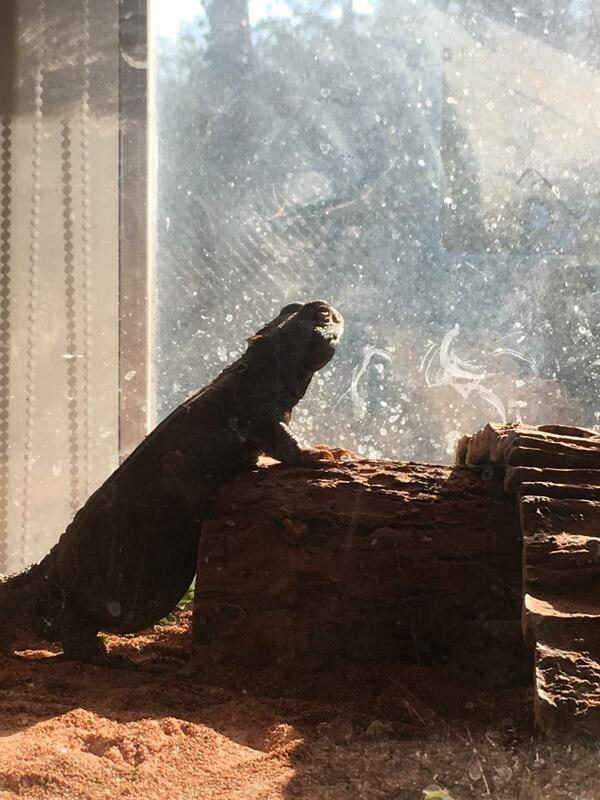 But if I can someday provide another Uromastyx with a loving home, I will be happy to do it in her memory.